Planning a trip for the summer? Looking to go to the beach, visit relatives, or take a road trip? Whether you are taking a couple of weeks or will only be gone for an extended weekend, it is important to do everything you can to safeguard and protect your home. Your Fall River insurance agent can provide you with lots of great tips that you can use to your advantage. The more you can do to prevent your home from becoming a target of would-be thieves, the better. 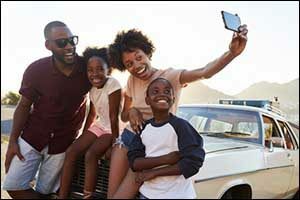 Take a look at some of these helpful tips from Sullivan Insurance Agency in Fall River that you can use today to give you peace of mind while you enjoy your well-earned vacation. If you have a friend, family member or neighbor who you can trust to do things like water plants, take care of pets, bring in the mail, and take in the newspaper while you are gone, you’ve got it made! Make sure to reward your helper in some way, either through fresh-baked treats, quality souvenirs from your trip, or even some financial compensation. Even if you don’t have plants or pets, you will want this person to drive by or visit your home on a daily basis. Make sure they have a key in hand, so they don’t alert someone to a key-under-a-rock or have trouble getting inside to check on things. Depending on the season additional work might be required, such as mowing the lawn, raking up leaves, shoveling snow, and starting your vehicle. Create a “care sheet” to remind your helper of all the things you need them to do each day when they visit. This will cut down on miscommunication and make sure that everything gets done as requested. We live in a very social world where every food experience, coffeehouse visit, and errand becomes an opportunity to showcase what we are doing. It is tempting to post on social media about your trip, telling people where you are going and when. It is also very difficult to not post every amazing thing that you see while on vacation, but Fall River homeowners should resist the urge and post everything when they get back home. Even if you don’t announce that you’re on vacation, your post tag might reveal your location and alert would-be thieves that your home is empty and vulnerable. There are other ways that people “advertise” that they are going out of town. While you might want to load up the car ahead of time for your big trip, you might as well just put a great big sign up that says “We’re going out of town – help yourself!” If you have a garage and can load up the car out of the sight of prying eyes, take advantage of this opportunity. Even if you don’t load the car up until the day of your trip, try to do it as inconspicuously as you can. While you might trust your neighbors, there could be others passing by or in the neighborhood when you are packing up who are looking for people going on vacation. Another great way to conceal your vacation is to put your newspapers and mail on hold. If you receive package shipments on a monthly basis for prescription medication, supplements, or household products, put them on hold as well. This will prevent a build-up of mail and newspapers from piling up at your front door or in your driveway. If there is a local newspaper or sales flyer delivered in your area, make sure to have a neighbor or trusted friend take care of that for you as well. Daily checks should eliminate a pile-up of advertising and paper products. Door-to-door advertising, phone book delivery, and other unpredictable services can be picked up and taken care of by your helper. Before you head off on vacation, make sure that your home insurance in Fall River is up-to-date. Your local agent at Paul Sullivan Insurance Agency in Fall River can answer any questions that you might have, update contact information, and provide you with details about your current policy. Ask about security measures that you can take that might make you eligible for discounts on your premium. Monitored video security services, advanced smoke detectors, and exterior lighting can make a big difference in the protection of your home. If it’s been awhile since you’ve visited your local agency, Fall River homeowners are encouraged to call or come in at least once a year to make sure that everything is current. You can contact our Fall River office by dialing 508-678-9611 to speak with one of our agents about auto and home insurance in Fall River.